If the speculation is true, this discovery would have huge implications. The idea of gravitational waves first originated with Einstein’s theory of general relativity over a century ago. To understand how these waves work, imagine the universe as a massive trampoline, as Space.com explains. If you place a bowling ball in the middle the stretchy material will dimple, and if there are smaller balls like marbles around the outside, they will suddenly be drawn towards the center by the weight of the ball. 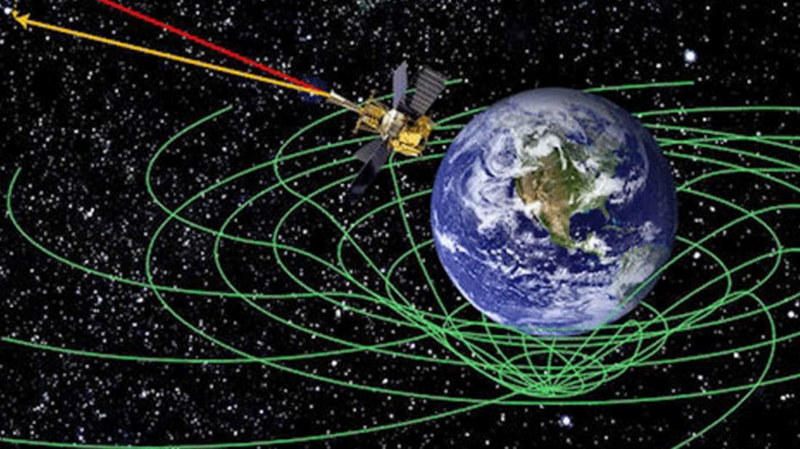 Einstein conjectured that this concept is similar to how the gravitational pull of large bodies functions in space. You can see a demonstration in this video. The effects of these ripples, called gravitational waves, have so far been too minuscule for us to detect, but researchers like the physicists behind the LIGO at MIT and Caltech are working hard to find them. Many scientists believe it’s just a matter of time before they’re discovered, and several well-regarded physicists have even predicted that this will be the year we finally prove their existence. If gravitational waves have indeed been discovered, they could give us a whole new way to study the universe by probing distant, mysterious objects, including black holes. But don’t get your hopes up too soon: Any detection that Krauss is referring to could have easily been a false positive. Because the waves are so small, it’s easy to misinterpret them, and the LIGO team has even gone out of their way to send themselves false signals as a way of testing their ability to weed them out. Krauss also tweeted that his source says the results didn’t originate from a blind-injection test, but unless that person is one of the project’s three team members, the claim seems questionable. And while these tweets sound promising, it’s important to note that Krauss isn’t directly involved in any of the research he’s referring to. To reporters: A rumor is a RUMOR. LIGO will make any announcement if there is one. I am not part of LIGO nor do I represent anyone there. According to New Scientist, LIGO’s run is set to wrap up today, and it will take a few months of careful review and analysis before the team is finally ready to release their results. Whether the rumors are true or not, any official celebrating will have to wait until then.